Check out these informative e-books and learn about the fascinating world of pollinating animals! The Pollinator Profiles: Volume 1-- Learn about the fascinating world of pollinating animals in this first-of-its-kind compilation! 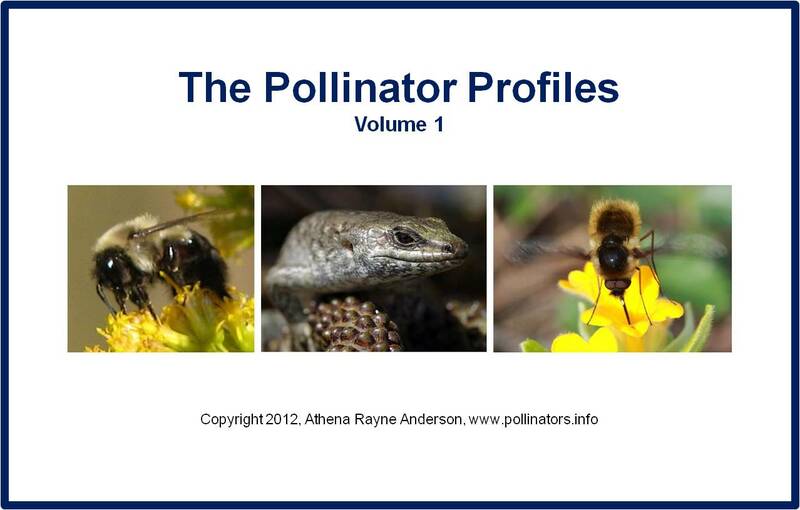 This e-book is a collection of the 39 Pollinator Profiles posts published on www.pollinators.info during the year 2011-2012. Read about tiny bees, zippy hummingbirds, and amazing lizards, and how all pollinators are important to our food supply and healthy ecosystems!